The average North American wastes 81 lbs of clothing a year. Can you even imagine what that looks like? We couldn’t either because that’s an incredible amount of money lost to shopping mistakes and unwanted clothing. Eco Fashion Week is a non-profit inspiring change by bringing awareness to the community through the creative art of fashion. 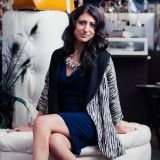 Founder, Myriam Laroche, started this idea in Vancouver B.C. 7 years ago and has now created one of the world’s largest sustainable fashion events. Ten designers and stylists were showcased for the Runway Reimagined: Project 8.1 Challenge at Canvas Event Space in Seattle, WA. Each designer and stylist had one month to prepare three outfits head-to-toe using no more than 8.1 lbs of clothing and accessories. This task required days of flipping one by one through the racks at Value Village and viewing the unwanted clothing with the potential of creating a final product of beautiful, wearable art. Designers Fair Weathers Clothing, Boho Republic, Recycle Runway, KLAD Apparel, and House of 1000 Corsets deconstructed garments to create completely new pieces. Stylists Tannya Bernadette, Jerome Insorio, Mark Humphreys, Jason Pillay, and Heidi Valencia had to create minimal alterations to clothing and had to style outfits from the pieces as they were. The results were incredibly creative and inspiring, you’ll want to start your next shopping expedition at the nearest second hand store to see what you can come up with on your own.